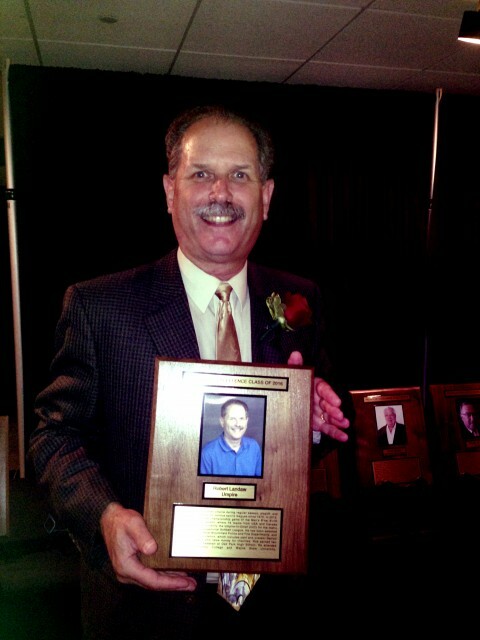 Umpire Rob Landaw inducted into Michigan Jewish Sports Hall of Fame - Pillars of Excellance! Updated Monday October 10, 2016 by Mens Club Softball. We'd like to take this opportunity to congratulate our senior Umpire-in-chief, Rob Landaw, for being honored as inductee into the Michigan Jewish Sports Hall of Fame Pillars of Excellence 2016. Rob is in great company: Hank Greenberg, Bill Davidson, broadcasters/sportscasters Mitch Albom, Eli Zaret, Don Shane and Al Ackerman, and local sports celebrities Aaron Krickstein (Tennis) and Mike Hartman (NHL Stanley Cup winner) - I grew up with Mike. "I want to take this opportunity to let each of you know how grateful I was with the support of the league on my induction day.